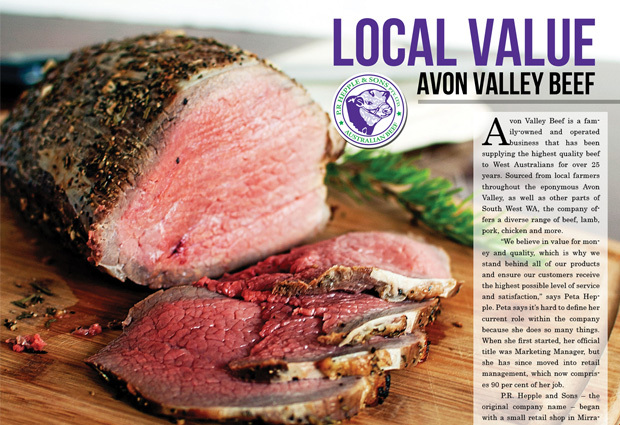 Avon Valley Beef is a family-owned and operated business that has been supplying the highest quality beef to West Australians for over 25 years. Sourced from local farmers throughout the eponymous Avon Valley, as well as other parts of South West WA, the company offers a diverse range of beef, lamb, pork, chicken and more. “We believe in value for money and quality, which is why we stand behind all of our products and ensure our customers receive the highest possible level of service and satisfaction,” says Peta Hepple. Peta says it’s hard to define her current role within the company because she does so many things. When she first started, her official title was Marketing Manager, but she has since moved into retail management, which now comprises 90 per cent of her job. P.R. Hepple and Sons – the original company name – began with a small retail shop in Mirrabooka in 1989. At that time, founder Peter Hepple ran the store with six other staff. A couple of years later, in 1991, Peter took the next step into wholesaling and moved into a larger facility to keep up with demand. Though the operation was still relatively small, they were boning about 300 bodies per week on average. A few years after that, the business had again outgrown its surroundings, so they moved into their modern Malaga plant in 1996. That facility is fitted with modern, top-of-the-line equipment that enables them to process several hundred bodies per week. It has also allowed them to produce many specialty products as their popular Avon Valley Beef sausages and burgers, rissoles, corned meats, lamb, pork, and chicken – all WA-grown meat. In 2000, Avon Valley beef acquired an abattoir, allowing them to vertically integrate and tighten the control they have over the quality of their product. Then, in 2003, they moved back into retail, opening a small store in their Malaga facility. “We had a really good response from that, because now people could purchase their meats from a brand name they knew of, at wholesaler direct prices,” says Peta. 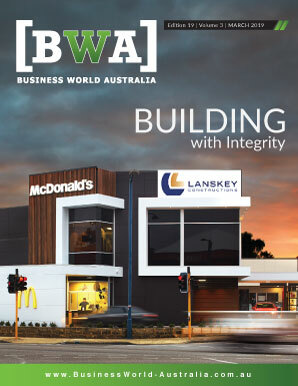 Today, Avon Valley Beef operates three retail shops in Malaga, Beechboro and Midland, all within a 20-kilometre radius from their boning facility. “We can cut, pack and deliver meats all in the same day to our own stores,” Peta says. They also supply quality meats to butchers, cafe’s, restaurants, commercial caterers and independent grocery stores. Their northam site even has processing equipment, which allows them to turn by-product into resourceful material such as tallow and meat meal – allowing them to use 90 per cent or more of the beef, leaving very little to go to waste. They are the only meat processor in WA with that capability. 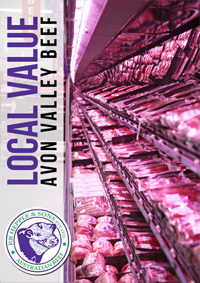 Avon Valley Beef is also set apart on a retail level, where Peta says they believe in delivering “good old fashioned service with a smile.” Their stores are more like a supermarket than a local butcher, but their service tends to be stronger than a consumer would normally find at either. According to Peta, their butchers will chat with customers, advise them on product, and even help them carry their bags to the car. “Even though our stores have that modern edge, we really try to deliver that good old fashioned service,” she says. Over the last decade, Avon Valley Beef has undergone some massive growth and changes. Peta says that everyone in the company is excited about the next phase, which will see more value adding to their products and diversification of their product range. Currently, the company is in the process of fitting out a premise next door to their Malaga facility. That will be developed into a retail facility selling bulk food to consumers, wholesalers and other retailers. The facility is scheduled to be complete before the end of the year, and trading by Christmas – their busiest season. In the longer term, Peta says the company will continue to modernise and expand. Their abattoir was recently halal-certified to keep up with increasing demands from an increasingly multicultural market. Also, many of their customers ask when they’re going to open a store south of the river, and the company is currently looking at that prospect very intently.